Most people opt for a drink in the evening after work with their colleagues or friends. It is the easiest way to catch up with each other or to have a quiet word with one’s boss in a more relaxed environment. For these reasons, most people opt to go to bars for a quick drink. Though there are several apps that feature food and drinks menus and offers, there is no app that is dedicated in offering information about drinks deals and related offers. This upcoming drink app promises to help you find the best deal when it comes to grabbing a couple of mugs or downing your favorite cocktail. If you often find your wallets emptied after your colleagues decide to take you up on an evening drinks offer, this bar finder app will help you save and find the right places in town. Many restaurants and pubs have discount offers during weekdays that one might not be aware of. What’s more, the cocktail drinks might be cheaper at a pub than the beer that is ordered at a pricey restaurant. With this app you will be able to compare the prices of drinks, check out menus and prices of watering holes nearby and make a well researched decision that will help you save a lot more. 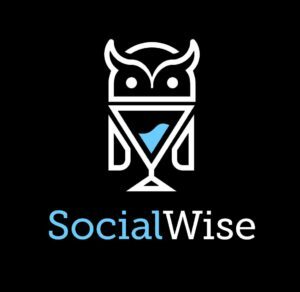 The SocialWise team is working on the beta version of the app and are a dedicated team of bright IT and social media professionals who have recognized the gap that exists when it comes to finding the best drinks destination in town. It is a lot of work as it would mean localized information, no matter where you are. 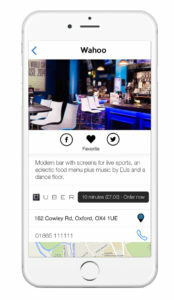 Once the app is global, you will find menus to compare of pubs and nightclubs in your area, know the weekday events that are in town and how to save most when you are taking your colleagues out for a drink. This social app promises information that is detailed on the drinks menu. It will help you uncover the specialty drinks menus in different cafes, pubs and other places without having to leave your home or office. Compare prices on the app, know the rates that are being offered on a cocktail of your choice and what others have to say about it. All this and more will be made available on this detailed drinks finder app. If you knew that mugs of beer are being served at cheap rates every Wednesday night at a pub near your home or that Thursday is a free ladies’ drinks night, it would surely rev up your social night life. Your girlfriend would surely be pleased to have her cocktail for free and so would you be as you would be saving on the cost of the same. Discover new places with your loved ones or friends and discover great combinations of drinks and food with this app handy at your fingertips.